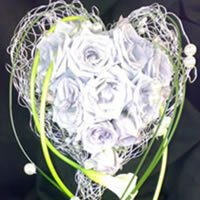 I love designing wedding flowers, they are definitely my favourite part of floristry. From small intimate family ceremonies to lavish celebrations in castles. Every wedding is individual and very personal to the bride and groom. 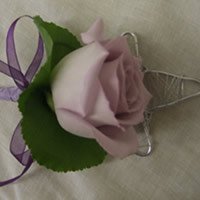 Some people know exactly what they want, and which flowers they would like in all their wedding designs. Some only have a colour scheme in mind and are happy for me to let my creative juices flow by designing beautiful bouquets and fabulous table centres to suit their theme. The seasons greatly affect the flowers used for weddings, as seasonal flowers are often the best quality and reflect the time of year perfectly. As well as being the best value for the time of year. Spring brings sweet scented narcissus and hyacinths and a vast array of colours. There are over two hundred varieties of tulips alone. In summer beautiful and precious flowers like peonies are available for a short period of time, which makes them even more desirable. 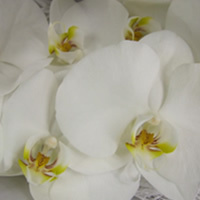 As well as exquisite beauties such as hydrangeas, delphiniums, and agapanthus. I use a lot of English flowers in summer weddings and even some flowers grown in Cheshire. The rich and vivid shades in autumn bring warmth to weddings with flowers like celosia, amaranthus and dahlias, mixed with interesting foliages and magnificent glossy berries. Winter weddings are also popular with cool whites such as stephanotis and freesia or warm reds like velvety amaryllis and ilex berries.